Bereits in der 137. Folge der verkürzten Zitate war Andreas Schleicher (Biblionetz:p04057), OECD-Direktor für Bildung und verantwortlich für die PISA-Studien (Biblionetz:w01358) betroffen. So auch in der 138. Folge. Kritisiert Schleicher somit den Informatikunterricht als kurzlebig und damit überflüssig? In today’s technology-rich world, many schools have begun teaching coding, the language we use to instruct today’s computers. It’s a skill that is in high demand, and there are intriguing examples of schools across the world teaching it in ways that are relevant and engaging for students. But the risk is that we will again be teaching students today’s techniques to solve tomorrow’s problems; by the time today’s students graduate, these techniques might already be obsolete. We should instead focus on the computational thinking that underpins these techniques – and that students can use to shape the technologies of tomorrow. Schleicher spricht davon, dass Programmieren vielleicht überflüssig werden könnte und man deshalb eher auf computational thinking (Biblionetz:w02206) statt auf blosses Programmieren setzen sollte. How can we focus learning on the “essence” of a subject rather than the “mechanics of the moment” – the computational thinking that underpins the concept of algorithms, rather than the specific methods of coding an algorithm itself? 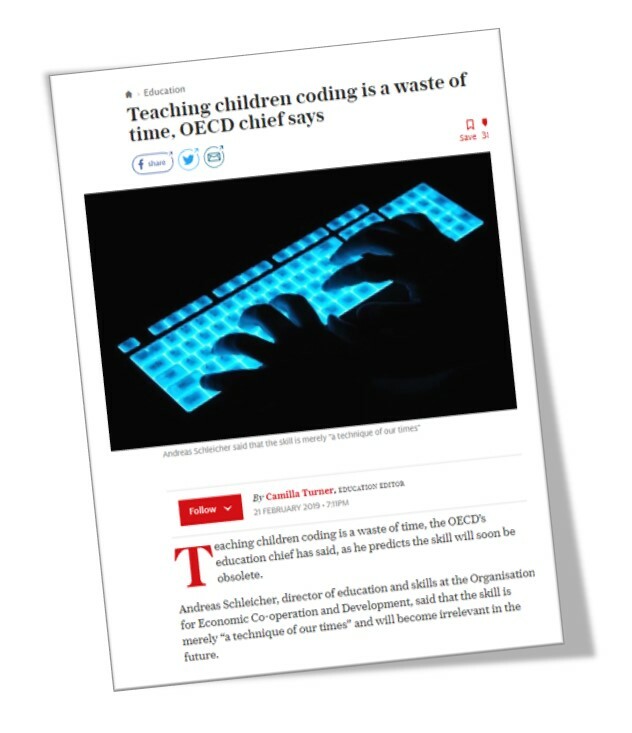 Coding can be a great means to achieve this, but there is a serious risk that it becomes the end, and that school systems will continue teaching it years after it is obsolete. P.S. 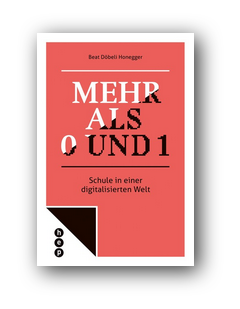 : Nein, Andreas Schleicher sagt im Blogposting auch nirgends, dass man Informatik / computational thinking ohne Progrmammieren unterrichten sollte.